A new way of life is blossoming in Melbourne’s east. Striking the perfect balance between city living and secluded tranquillity is a place where distinction and beauty reside. Magnolia offers 15 levels of serene elegance in the heart of Doncaster Hill. 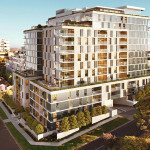 Positioned on a quiet residential street, Magnolia exudes effortless opulence. Renowned CHT Architects merge simplicity and luxury with a grounded sense of grandeur, taking the clean lines of a modernist exterior in concrete and glass, and extending them through to the geometric silhouettes of the apartments inside. Offset by the lush landscape designs of Jack Merlo, two spectacular communal garden terraces complete this urban retreat, creating the ultimate escape for quiet contemplation. A rare find and wonder to behold. Magnolia, it’s a beautiful life. Refined and relaxed, Magnolia delivers layers of style through spacious open plan living. Move freely between airy spaces that flow effortlessly, from the heart of your living space to the peace and privacy of your own balcony or terrace. Expansive windows let the light stream in, as you enjoy your morning coffee with a dash of city views. Neutral interior hues are complemented by the natural beauty of oak timber flooring, the perfect canvas to reflect your own unique aesthetic. Cleverly concealed appliances and streamlined full-height cabinetry maintain the calmness of clean lines, while split system air-conditioning keeps you cool and collected. Innovative design for everyday living, a space that rewards you with contentment and clarity. 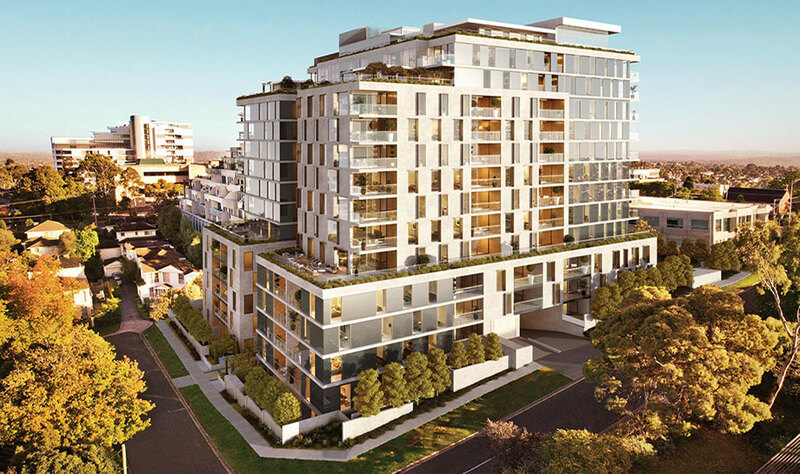 Nestled between the bustling energy of the city and the relaxed lifestyle of Melbourne’s leafy eastern suburbs, Magnolia is located in Doncaster, a quick 18 minute drive (15km) on the M3 Eastern Freeway to the CBD. Easy access to the Lilydale train line and 907 bus, also connects residents with the city and neighbouring suburbs. Stroll across the road to shopping mecca Westfield Doncaster and indulge in luxury brands, dining and entertainment. If relaxation is more in order, enjoy a lazy Sunday at picturesque Ruffey Lake Park, or get lost in a good read at the local Manningham City Square library. Catering to every lifestyle, Melbourne’s leading schools are within easy reach. Close by aquatic and fitness centres provide options for active pursuits, while many of Melbourne’s preeminent golf courses are only moments away. Choose between the challenging greens of the Freeway Golf Course, or the rolling fairways of Kew and Ivanhoe, both within a 12 minute drive.